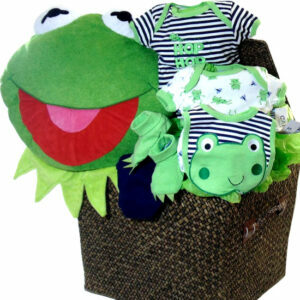 Newborn baby basket potty gift basket. 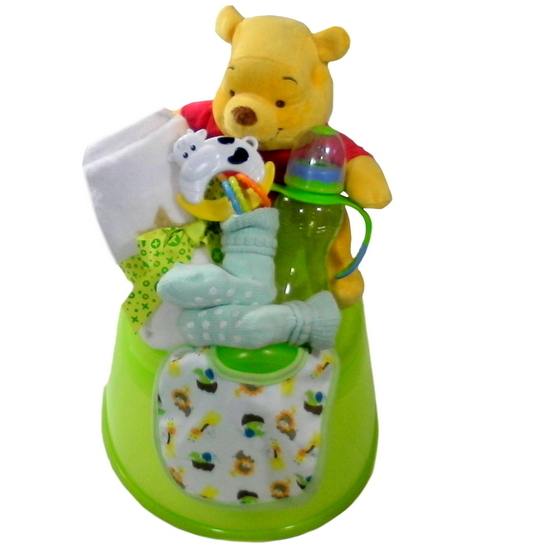 Nuby potty filled with Winnie the Pooh stuffed animal with matching blanket, green baby bottle, green socks, animal print bib and Cow rattle. Newborn baby basket delivered to the door steps of the new parents, of baby boy or baby girl. Also a great baby shower gift basket. A unique baby hamper for newborn now and for potty training in the future.